It has been recently that we see growth in usage and popularity of the reflex sights on the pistols. To be more specific, it all started working from the hunting market, spread their horizon into the competitive shooting and now they are also seen in demand in the tactical market. It does not matter why are you using a reflex sight, it needs to have certain must characteristics. 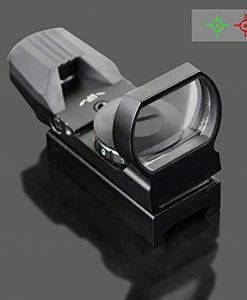 Foremost of these is that the red dot sight must be light in weight and small in size. No one can deny the fact that a heavy pistol is difficult to be used. Moreover these should be shock proof to take care of the recoil. Also they need to be accurate with a dot large enough is size that it could be seen easily and at the same time small in a way that it does not obscure the target of the users. We have gathered a collection of 5 sights for the pistol. Let us discuss them one after the other briefly. It is one of the handgun sights that are considered to be actually original and on doubt certainly one of the most popular. It is well built, excellent and war ready reflex sight for the users. This was initially designed to offer backup for the sniper rifles, assault rifles, and machine guns. It was also popular for shotguns and SMGs. Despite all this, handgun reflex sights have gained popularity like nothing else and meanwhile the Trijicon RMR was all ready to go optic filling the needs for the handgun shooters. There are multiple option for RMR where one is being dual illuminated model. Sight makes use of the electronic red dot which needs power. The dual one makes use of the both i.e. the battery backup and battery free power system. RMR is capable of absorbing power from white light source or sunlight. As soon as the sun is set or lights are off, it makes use of the battery backup. Its price is $469. If you are one of the shooters looking forward to compete in the shooting, then this Burris Fastfire 3 will serve the purpose at its best. It is a very well built, perfect for handgun. It is pretty much light in weight, simple to use and strong in built. The price of the sight makes it perfect for the new shooters to learn the red dot on their personal pistols. Under its belt are three generations while the Fastfire 3 is the best in every manner. It has been built in a way to reduce the time between the target to target and holster to target. 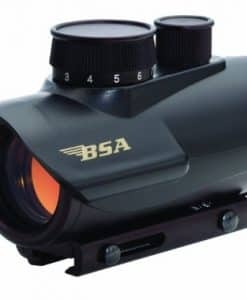 It makes use of the 3 MOA red dot which is large enough to catch the eye and at the same time small enough even to catch the smallest targets at a certain distance. Its top access to the battery ensures easy power consumption. It is indeed a big deal for the pistols. Usually when the battery is not on the top; the user has to remove the sight in order to replace the battery for more power. It mostly affects the weapon’s zeroing leading to a troublesome detaching particularly when the LocTite is in use as well. It can be bought in $197.20 as of today. With the Vortex Venom, Vortex entered in the pistol optic market. Venom, no doubt is a very well made optic along with attractive warranty. It has been smart enough to follow the footprints of the system installed in Burris. 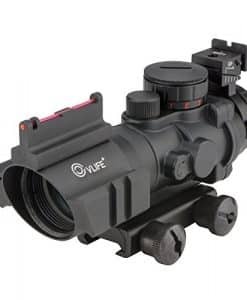 This clearly means that this optic can be mounted anywhere, wherever the Burris series can be. It is all black model with a lens that facilitates the shooter to gather light and amuse him with a brighter world. Venom has a 3 MOA reticle which is again perfect for the handgun. It is wider lens as compared to the round and is not in square shape. Once again, shooter gets a wider view as compared to other handgun optics. 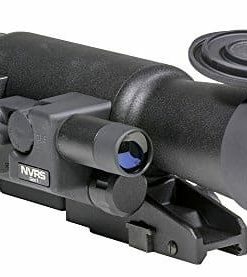 It is a perfect defensive optic with wider field of view and lower profile. As it has been equipped with a top loading battery, it becomes one of the excellent features that are desired to be there in every optic. it has almost 10 different settings enabling the user to tailor his sight options. It lasts for almost 550 hours at lowest settings and 14 hours at auto shut off. It can be bought in $227.95 as of today. It is most probably one of the latest advanced mini reflexes today. Delta point Pro has been incorporated with a motion sensing technology in the pro. It has been done in order to turn it on even before the picture of the sight can be acquired. Also it has auto brightness setting as well as it has been we equipped with the ability to leave the dot in a pre set intensity at its best. Having so much technical features, it can be well assumed that it would be little expensive and hence if you want to enjoy its possession you will have to spend $345.07 as of today. 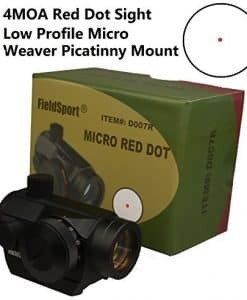 After reading about all the above mentioned latest and trendy red dots sights, it needs to mentioned that all of these are really easy to be understood and master. It will be right to say that they are easier to be used as compared to the iron sights. Shooters that make use of these sights have been seen hitting the targets faster and further. However, these sights can do wonders for both the new as well as the experienced shooters. Good luck with your shopping.